Well, the 2013 Oscar Nominees have been announced - and as usual the entertainment and social media spheres are weighing in on who got in and more importantly who didn't. It's always a bit of a mixed bag every year and there are bound to be folks who are unhappy about some of the results thus far. For those of you who follow my Twitter feed, you may have noticed that I've been posting links to various opinions and commentaries on the nominees thus far along with some of my own views here and there - views that I'll echo here. 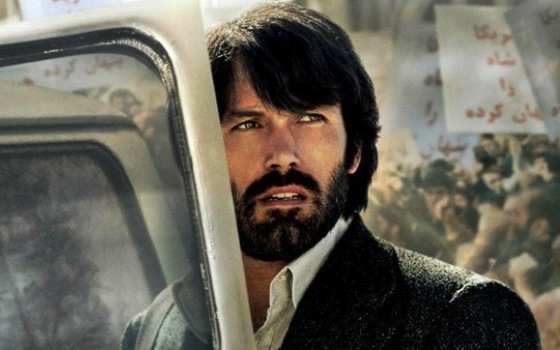 I definitely feel that of everyone "snubbed" for nominations this year, I feel most strongly for Ben Affleck and his work on Argo, which Tobie and I thoroughly enjoyed. Rarely has a movie had such a tremendous impact on me especially given how Affleck was able to convey high tension despite a general slow-paced scene with some excellent scoring. That certainly takes some skill. I truly feel that it's a shame he was passed on for a Best Director nod, but it's not like the rest of the competition ain't all that bad either. As much as I agree with a number of points in terms of movies that could have made it as presented in the geek perspective piece on The Mary Sue and the more in-depth analysis of TIME's Richard Corliss, you have to admit that the movies that made it are pretty good too. And while I have not a chance to watch all of the nominees (who ever does before the awards night?) the collection of movies is most promising. Case in point, this weekend Tobie and I are going to do our best to catch screenings of Life of Pi and Zero Dark Thirty - both movies that are vying for some key awards this year. We also have had Beasts of the Southern Wild in our movie queue and Amour does strike me as the sort of movie that I'd want to watch as well. And the Oscar nominations for these movies help reinforce the diversity of the nominees this year. Yes, the geek in me feels bad that The Dark Knight Rises did not get nominated for anything (which is hardly a surprise) and I wanted Cloud Atlas to get more recognition. And yes, I totally wish that Dame Judi Dench had gotten nominated for her stellar work in Skyfall, but we just don't get everything that we want now do we? Film critic Roger Ebert captured it best, I think in his opinion piece today. We all feel bad that some of our favorites did not get recognized but that does not take away from the fact that a lot of movies that aren't your "typical" Oscar fare managed to get nominated as well. And while Lincoln sort of represents the "traditional" Oscar movie that gets a lot of praise, we still have surprise nominees like Beasts of the Southern Wild and Amour managed to get noticed in the major categories. This is a year where we have both the oldest female and the youngest nominees for an Oscar yet - and both in the category of Best Actress. So what did you think of this year's Oscar nominee round-up? Are there movies that you think don't deserve to be there? Or are there movies that were nominated that you were on the fence about watching but are now willing to see because of the notice of this award-giving body? Leave your insights in the comments! Lincoln is okay but overrated. Bigelow, Samuel L. Jackson & DiCaprio (for Django Unchained), Tarantino, Wes Anderson, Ann Dowd (for Compliance), Looper (for Original Screenplay), and Cloud Atlas (for Editing) were robbed. Lincoln is that obligatory bio-pic starring an actor hiding behind obligatory makeup and fake facial hair, directed by the obligatory big time director, so it was definitely getting nominated.